Dior Prestige Le Concentré Yeux Eye Cream, 0.51 oz. 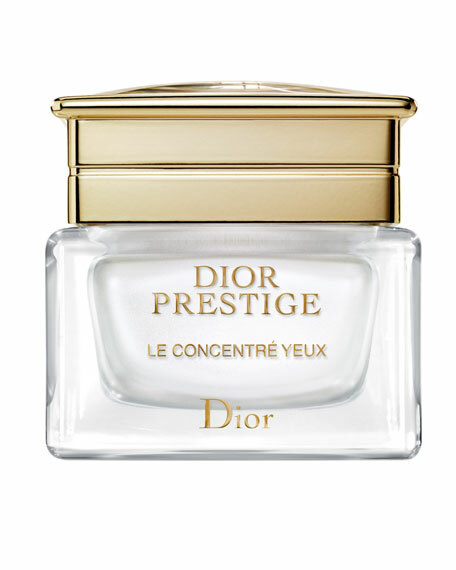 DiorPrestige Le Concentré Yeux Eye Cream, 0.51 oz. 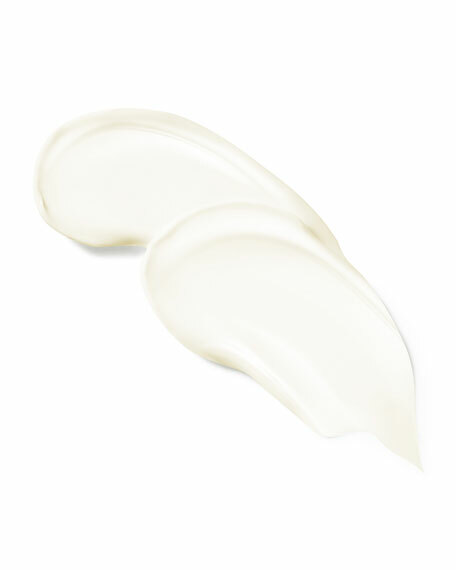 Le Concentré Yeux potentiates the eye contour area regeneration thanks to a unique synergy between skincare and massage. With the eyes closed, its divinely fresh and enveloping texture rolls out across the whole panoramic eye area for a more complete regeneration. Its action is boosted by the Open Eye applicator. This technological wonder reproduces the expert techniques of the Dior Institut thanks to its double-rotating pearls. Instantly, the eye contour area is smoothed; marks of fatigue disappear. Day after day, the eyes open up, magnified by greater lashes. Full of femininity, they illuminate the face with newfound beauty. *Clinical measure on 30 women after one month application evaluated by an independent dermatologist. 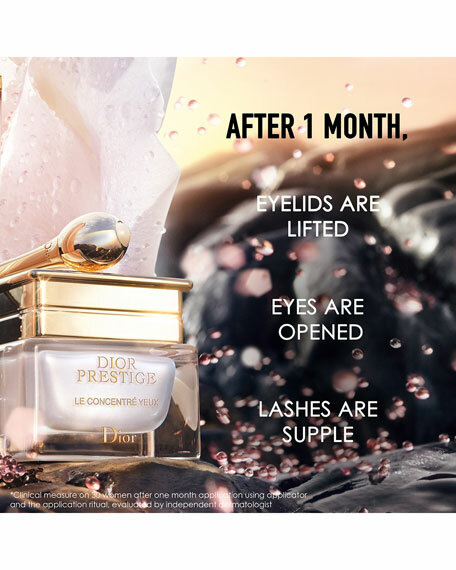 A culmination of 15 years of research, Dior Science isolates for the first time ever the secret of its unprecedented life force: 8 molecules that no other rose possesses. 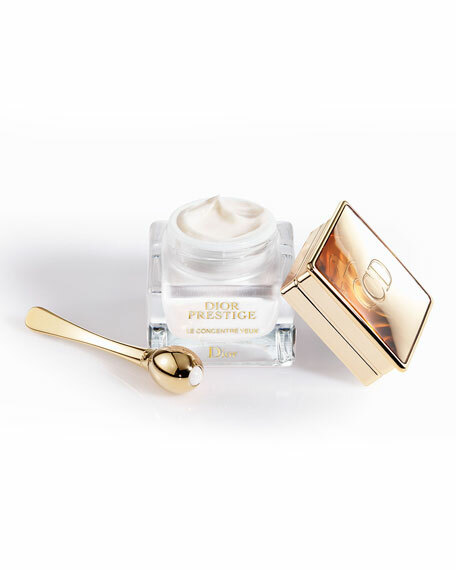 A cutting-edge extraction process called dynamic enfleurage concentrates this molecular power into Dior Prestige skincare. Exceptional conditions allow it to express a vitality twice superior to a classic rose*. In this Dior Garden, 800 rose bushes grow organically, free from fertilizers. This is the only way to guarantee 100% natural and biologically active Rose extracts. The Open-Eye applicator, with its double-rotating pearls, boosts the power of Le Concentré Yeux. 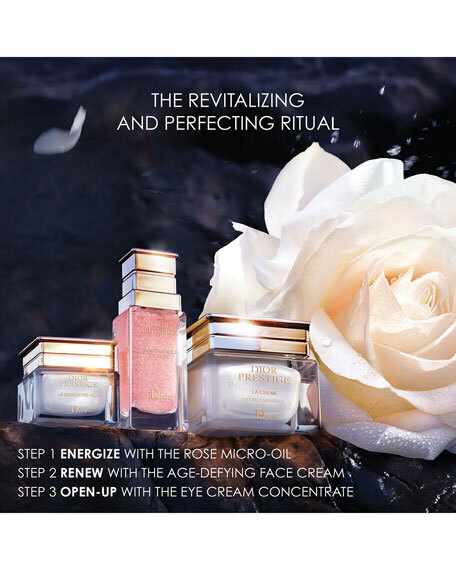 The golden pearl profoundly re-sculpts the cellular architecture of the eye contour area while offering a decongestant action. Perfectly complementary, the white ceramic pearl delivers a focused action over acupressure points and the edge of the lashes. 100% of women confirm that the efficacy of the product is optimized by the Open-Eye applicator**. **In-use test of 60 women after application of Le Concentré Yeux every day during one month. Dior J'adore EDP Body Cream, 5.1 oz. Dior Miss Dior EDP Body Cream, 5.1 oz.